On the E.U. 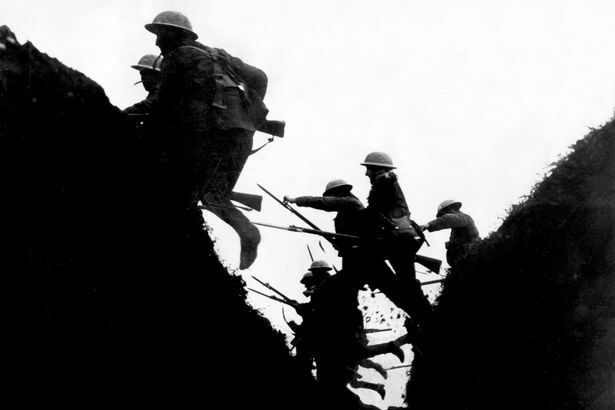 vote: wars, words and perceptions of truth. The referendum vote on June 23rd is one of the most important political decisions in our lifetime and, I have to admit, at the beginning I didn’t think the Leave campaign was likely to win. I spent some time in Europe last month and I had lunch with some French and Belgian people who told me they were genuinely worried. If Britain left Europe, they said, it would start a precedent for other countries to consider leaving. 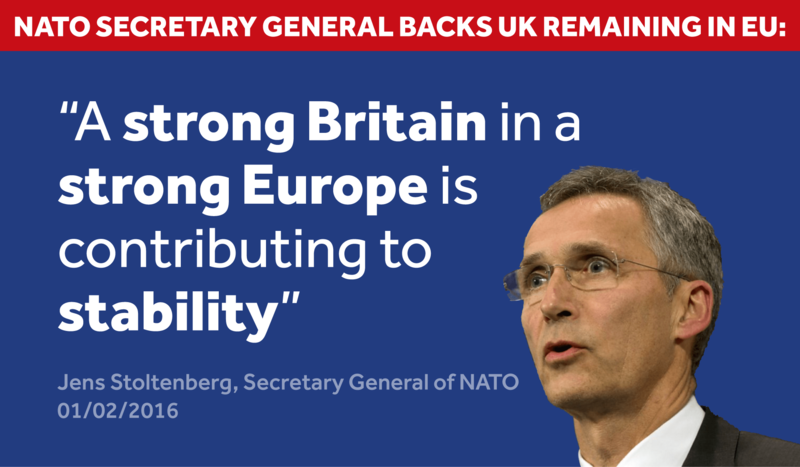 One Belgian man, in his seventies, was concerned that European peace, a stability we have all taken for granted for seventy years, might suffer as a consequence. Last week I watched the debate programmes EU: In or Out on TV. I’m not David Cameron’s biggest fan, but I remember the slick job he did on TV during the General Election of 2015, and how he spoke competently and won the battle of words which finally saw Ed off, and I will concede he can be both dignified and articulate, and capable of demonstrating integrity. He did well in the televised debate, despite being heckled by some aggressive people. There was a woman who scoffed ‘I’m an English Literature student so I know waffle when I see it.’ I gave her comments little credence: as a Literature graduate and postgraduate, I’ve read lengthy works, such as Joyce and Proust, Eliot’s ‘The Wasteland’ and most of Dickens’ novels. But I don’t recollect being offered the Waffle Recognition module, and perhaps one person’s waffle is another’s epic poem. However, her comments were received by Brexit campaigners as an insightful put-down. And then that great philosopher and orator, Nigel Farage, judged Cameron’s part in the debate as ‘poor.’ I didn’t understand how he could have possibly seen the performance as anything less than very competent: David Cameron stood firm and articulate in the wake of some nasty snipers. The following day, Michael Gove, for whom I have little time, having worked in education, took the stand. Faisal Islam made a good job of questioning him and Gove responded by becoming angry, supercilious or by evading the questions. On the Sunday Politics show, Gove was heralded as the winner of the week’s televised debate. I don’t get how rudeness trumps integrity and how distorted statistics trump careful, logical answers founded in fact and research. So, now it appears that the margin between the In and Out campaigners is becoming closer than I thought possible. He added Johnson was a ‘court jester’ although Andrew Neil on Sunday Politics referred to him with the familiar Boris: he was the only politician not to be called by a full name or just a surname. Boris Johnson has been photographed doing what he does best, ingratiating himself in front of the media with the British people. I saw him pretending to auction a cow at a Farmers’ Market, surrounded by a bunch of jocund clapping chaps. I was surprised that any farmers thought it wise to consort with Johnson: the National Farmers’ Union passed a resolution to back the Remain campaign, following an overwhelming vote in favour of staying in the EU, which it said was based on the ‘balance of existing evidence’. 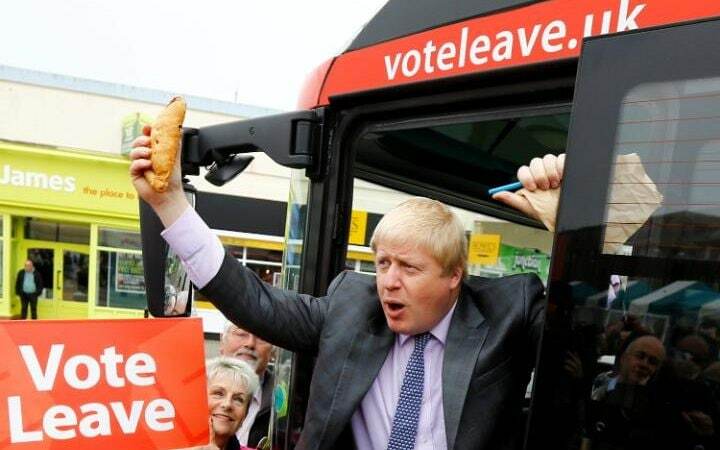 Johnson was seen waving a pasty at the public in Truro from his Brexit battle bus, and he now faces the embarrassing fact that the pasty itself is protected by Europe. The ubiquitous Cornish pasty was given protected status by the European Commission in 2011 to prevent cheap imitations being produced elsewhere in the country. I am mystified, given the huge amount of logical and factual evidence which overwhelmingly backs remaining in the EU, how the Brexit bunch are doing so well. However, there is now a most worrying tide of overt hysteria, based on fear and scaremongering, which is rushing in with the Brexit campaign. Brexit has given people an opportunity to scream disturbing anti-immigration propaganda on live TV and in public forums. Recently I was handing out Stronger In information leaflets in a town centre, and a man shouted abuse from the other side of the street, saying something about allowing the ‘bloody Turks’ to come into our country in droves. I don’t like to contemplate where such xenophobia might lead. So, at the time of blogging, there are just over two weeks until the referendum. I cannot imagine how opinion will change or how the ‘undecided’ will decide. It seems to me a straightforward battle between logic and common sense, and blindman’s buff scaremongering. One audience member in the ‘In or Out’ TV debate put it perfectly last week: he told Gove that he was like a World War 1 General, waving the ordinary soldiers over the top and into battle with no idea of what is out there in no man’s land and without any clue about what will happen to them. It’s a case of the ordinary person propelled blindly forwards and taking all the risks. I hope all those people who haven’t yet registered to vote do so quickly and use their votes wisely. I am extremely worried about the next Big Push. Laddish literature? Not in Germaine Greer’s book.